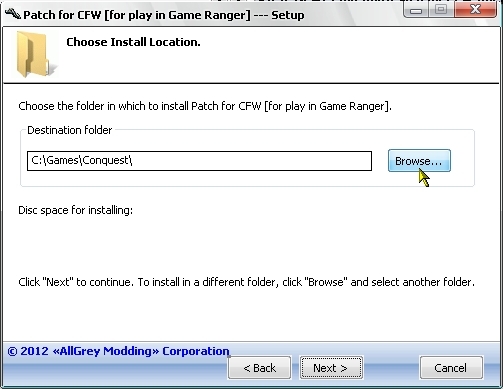 This patch is required if Game Ranger refuses and tells you that you have a demo version. Need only for the game "Conquest: Frontier Wars". How do you get to be the new race that's in the game ? is there a patch or no new race ?